Be the first to hear about their new releases and deals. 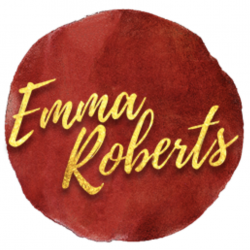 Download the Booksprout app and search for Emma Roberts today! I used to write different projects for other people but I could never stay away from writing romance, and so I ended up ghostwriting for a few bestselling authors and then I decided to take a step forward and start making my dream a reality. As a contemporary romance author, my biggest joy is bringing readers that WOW factor with each book and having them get effortlessly immersed with the intriguing, captivating and mind-blowing twists and turns in my book. I love what I do and I want to you come and join me along my journey in creating Mr. Right in my romance novels. Thank you for being here and I promise if you stick around you’re in for a treat!